Rudyard Kipling (1865-1936) was born in Bombay (present day Mumbai). His father was a teacher in a local school of art. At the age of six he was sent to England to be educated and spent a miserable few years in the neglectful care of foster parents and enduring the rigours of public school life. However, these experiences didn't lead him to overtly rebel against the system that inflicted them on him and he became the leading literary exponent of empire and the virtues of colonialism, 'The White Man's Burden', with its assumptions regarding the superiority of Western, and specifically British, culture. However, the influence of his unhappy childhood can perhaps be seen in his empathy for children in his writing, particularly in his acknowledged masterpiece, his 1901 novel Kim, but also in his writing for children such as The Jungle Book and Just So Stories on which his continuing popularity is largely based. After school he returned to India and worked as a journalist before embarking on a lengthy journey back to England that took him through the Far East and the United States. He settled in London where his writing became increasingly popular, suiting the imperialist tenor of the times. In 1892 he married Caroline Balestier, the sister of an American friend who'd died, and they lived for several years in Vermont until a legal dispute with his brother-in-law prompted a return to England in 1897. During this period he published extensively including novels such as Stalky and Co., articles and poems including 'Gunga Din'. The first decade of the 20th century saw him at the height of his popularity and in 1907 he was awarded the Nobel Prize for Literature. His two collections of stories and poems Puck of Pook's Hill (1906) and Rewards and Fairies (1910) were highly successful, the latter containing his most famous poem, 'If' which is still regularly voted the nation's favourite. Kipling died in 1936 at the age of 70. 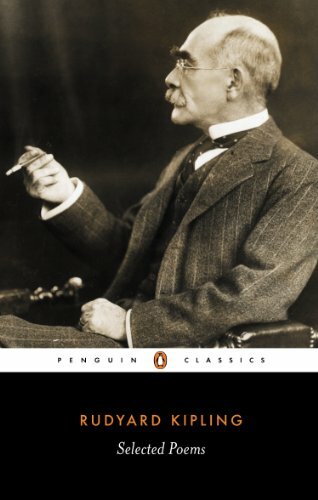 The espousal of traditional stoic virtues in 'If' is the very quality which saw Kipling's reputation decline following the cultural and social upheavals of the post-war period. Though T. S. Eliot edited a selection of Kipling's verse he maintained that, whilst Kipling was capable of writing poetry, it was "by accident". 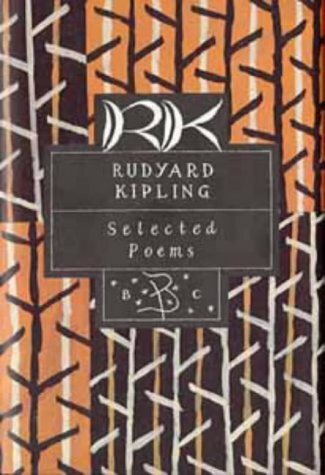 Kipling's use of traditional forms and his political attitudes - increasingly branded racist - were rejected by the new forces in poetry, though he remained popular with the middle classes. A certain amount of re-assessment has taken place more recently which finds in Kipling's writing about India a more complex and sympathetic stance than has previously been attributed to him and some of his best works' longevity is evident in the mass of adaptations and films they've inspired, most famously Walt Disney's Jungle Book. This represents the only extant recording of Kipling's voice, made in 1921. The poem of which he reads only a fragment, 'France', is more of historical than literary interest. It was written in honour of the French President's visit to London in 1913 and as such exemplifies Kipling's role as public mouthpiece for the British government. Written in strict rhyme the poem extols the virtues of France and sees the long-standing and bloody rivalry between France and Britain in traditional heroic terms: "We were schooled for dear life's sake to know each other's blade". France was soon to have a very different resonance for Kipling as two years later his son was killed at the Battle of Loos. Kipling had used his influence to gain him his commission in the Irish Guards and suffered terrible guilt as a consequence, leading him to write a most un-Kipling-like sentiment: "If any question why we died/Tell them, because our fathers lied." 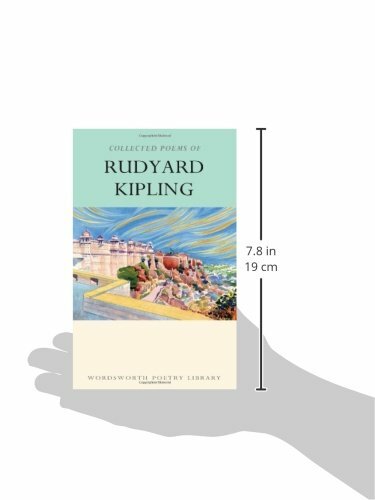 Visit Rudyard Kipling's page on the BBC site.